In the afternoon, only by appointment. What is the General Archives? 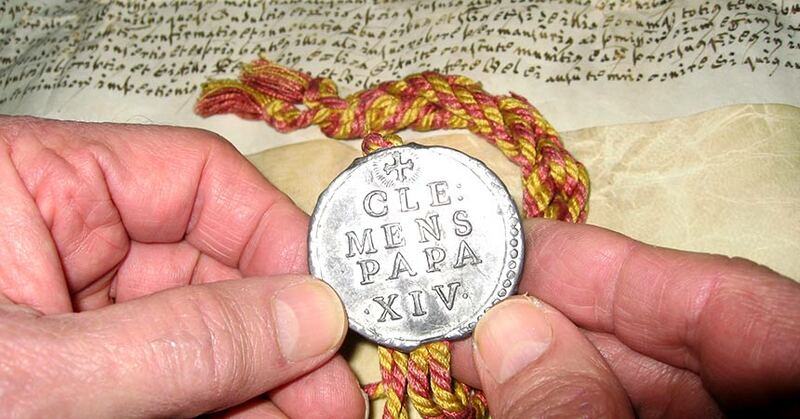 The General Archives is “the collection of documentation received and produced by the Superior General, the General Curia and other administrative bodies, as well as by individuals in relation to the activities of the Congregation. According to its importance and future relevance, material is categorized for preservation”. 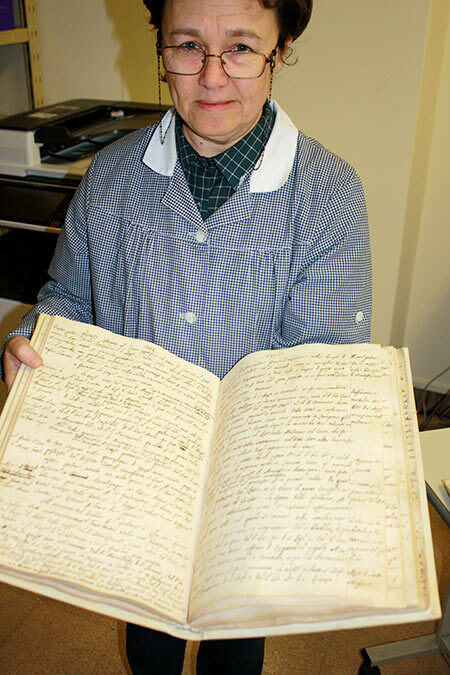 What are some important moments in the history of our Archives? The General Archives (AGCP) similar to other Archives of this nature, especially historical ones, are private and legally belong to an institution that in our case it is the Congregation, in the person of the Superior General, who is its highest authority, and therefore, is its principal guardian. In fact, from the earliest days of our history, the Major Superiors diligently instructed the religious concerning the care of documents to be archived in the retreats of the Congregation. Fr. 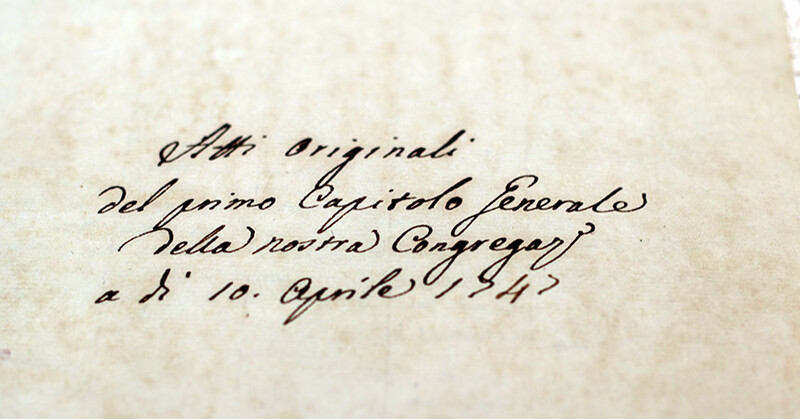 Giovanni Battista Gorresio (1734-1801), rigorously enforced guidelines concerning materials to be preserved in the archives of the nascent retreats of the Congregation. 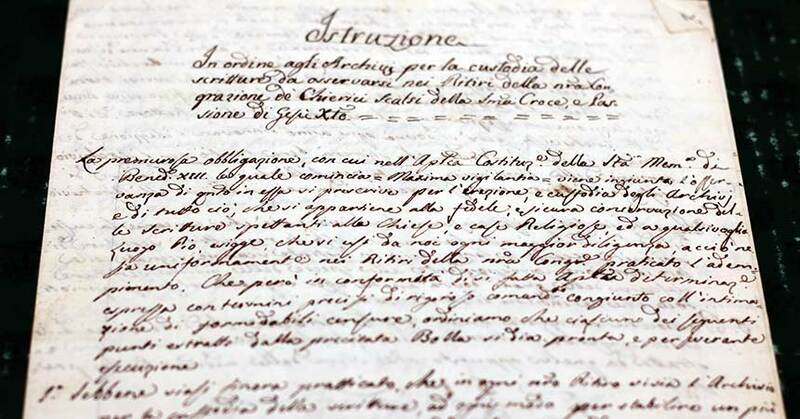 After the publication of the Constitution of Benedict XIII in 1727 entitled Maxima Vigilantia, on 31 March 1779, the Superior General published an Instruction about the function and custody of archives. He established specific rules for ordering the archives with precise penalties and censures related to their maintenance. 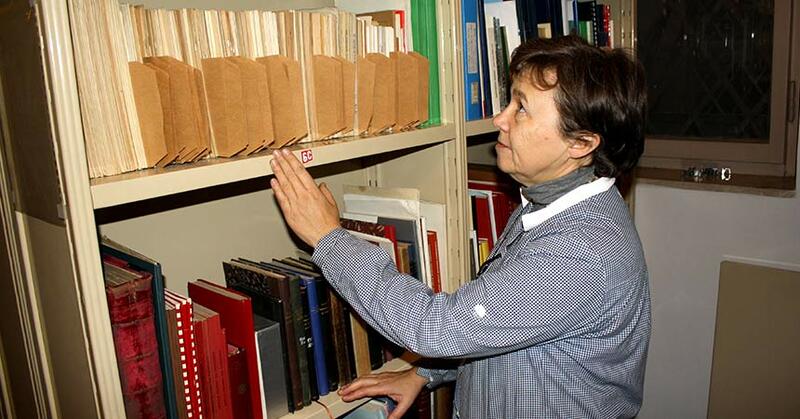 Thus, the religious would know which documents were to be kept in the canonical archives, which documents should be saved in the Provincial Archives, which documents should be archived in each retreat, those documents to be preserved in the archives of the novitiate, etc. 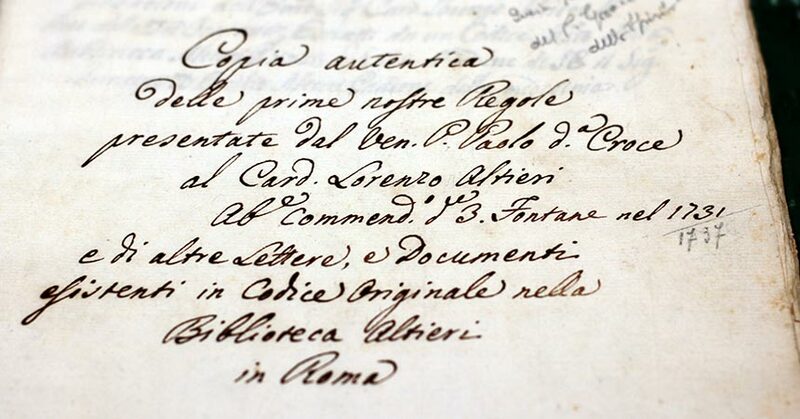 Since the General Archives was initially intended primarily for the use of the Superior General because it contained material pertaining to his Office, the Curia and the entire Congregation. Therefore, access was restricted to members of the Curia and they often held the post of Archivist. In 1870, Fr. Domenico Giacchini (1816-1884), entrusted the care of the Archives to the Secretary General, establishing specific norms. Recently, Fr. 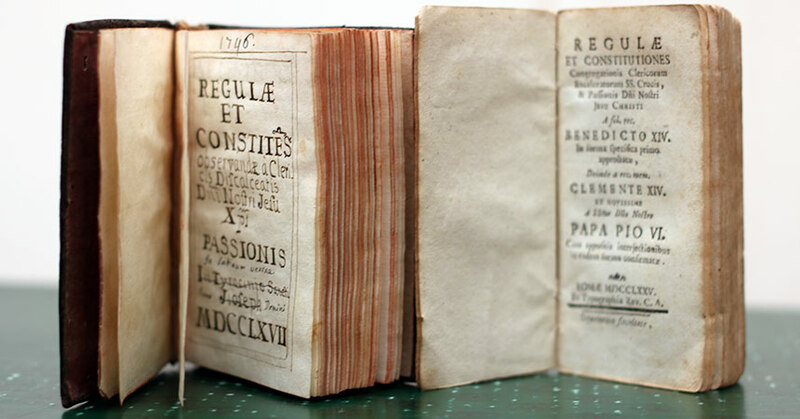 Joachim Rego, Superior General, approved new regulations for the use of the General Archives (AGCP). Now it will only be possible to consult some of its sectors and collections of the Archives by appointment. The intent, in addition to management, is to enhance and renew interest in the study and research of the culture and history of the Congregation. (1) The first period has abundant documentation and covers the period of the foundation of the Congregation until the death of the Superior General, Fr. Antonio Testa in 1862. In fact, it was during the mandate of the Superior General, Fr. 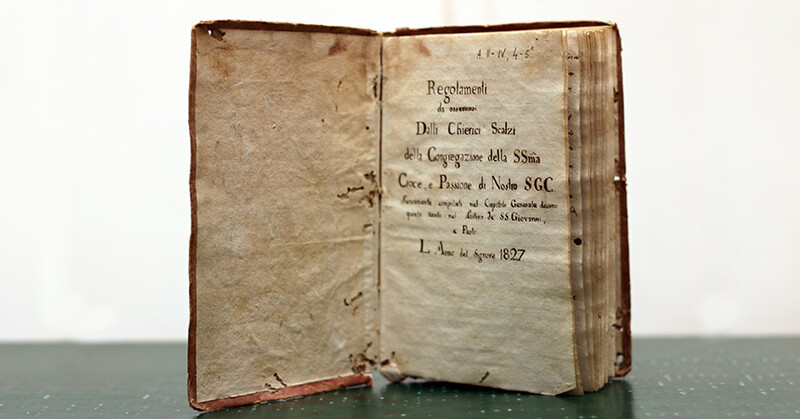 Antonio Colombo (1827-1833) that the first Index and reordering of the Archives took place by Fr. Gioacchino Pedrelli, Secretary General. (2) The second period covers the span of the first decade of the previous century beginning in 1862. During this period, the gathering of documents was poor and inadequate. In fact, during this entire period almost nothing has been preserved. (3) The third period began immediately after the World War I when great attention was given to the preservation of material that was also made available for the use of scholars. The Historical Archive consists of twenty-five file cabinets each with four drawers with files measuring about 64 metres. 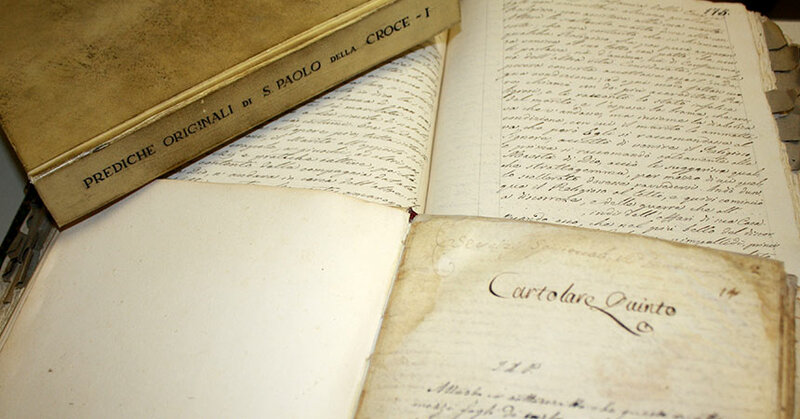 They contain a substantial amount of priceless documents of the history of the Congregation from the first half of the 18th century to the third quarter of the 20th century. However, in the technical sense of the word an inventory of archival material does not exist at all. In the AGCP there are only three ancient catalog-inventories. The first index or catalog is that of Pedrelli (1830) and is organized by subject. A second index, in two copies (1899), certainly for a reordering of space, is divided into four sections: reserved, common, chronological, and miscellaneous. There is also a catalog of 1899 arranged by subject of the individual Provinces that existed at that time– PRAES, DOL, PIET, IOS, the North American Provinces, SPE, Spain, Mexico, CORM and South America. The last index (1920) shows that the documents in the Archives were divided into fifty-four volumes with different criteria than what was used in the past. The current index system was prepared in 1967 and enhanced in 1978.